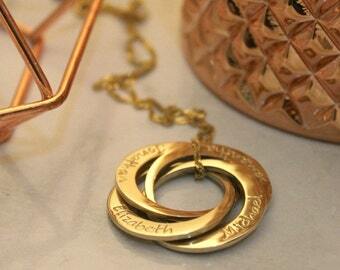 Pendant is made of 5 circles measuring 25mm in diametre each. 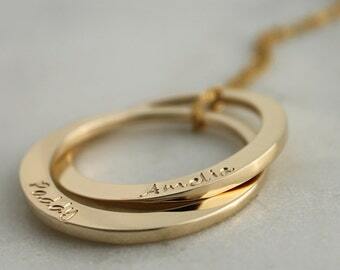 All in solid 9ct yellow gold. Please ask if you'd like me to test if your names fit before you order. 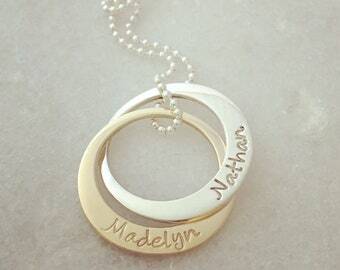 Please let me know what you would like stamped in the message to seller box. Please allow three weeks once payment is received for your item to be shipped (worst case). 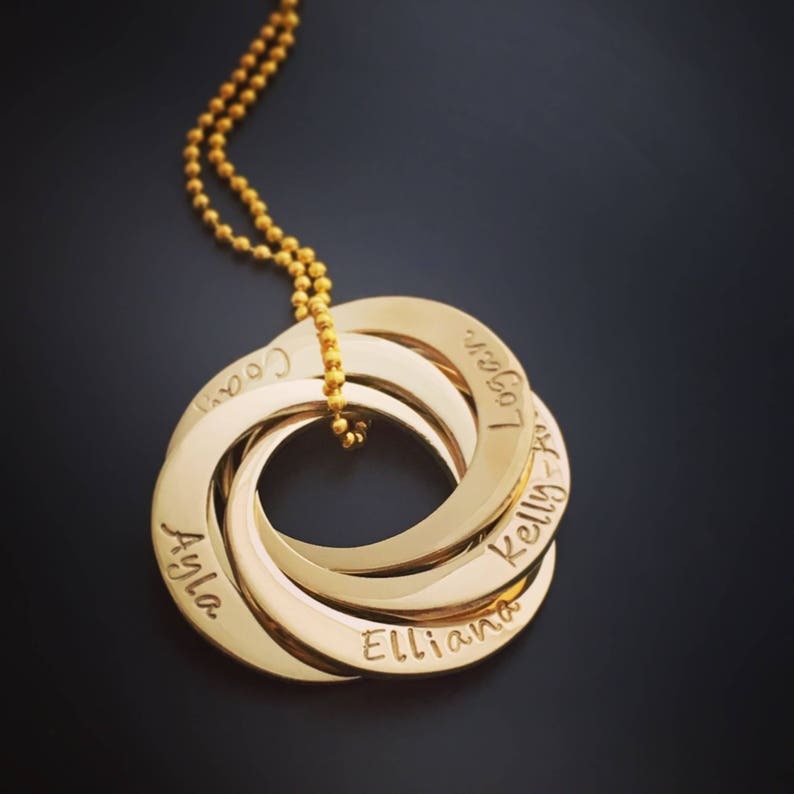 It’s beautiful, gorgeous gold with the names of my five grandchildren. Loveit and I got it in 3 weeks of purchase.